Bridget D - "I thought the crews did an exceptional job. I have told everyone I know! The kitchen cabinets look brand new, as does the inside of the fridge. The walls look fabulous and so much brighter. It’s truly amazing to me the job they did. Please thank your crew members for me. I cannot say enough about the wonderful job they did." Jane F - "I will not only call you when I need carpet cleaning in the future, I will also gladly recommend your company. Excellent, thorough, and courteous service by Justin. Peggy P - "Just want to thank you for such great service, from scheduling to cleaning. FANTASTIC! Thank you!" Jerry M - "Your two techs were hard working and wasted no time. They were very considerate of our landscaping. One a 10 scale, I would rate them a 9.5." Judi F - "OMG! I came home last night to absolutely beautiful floors and carpet! I don’t know how he did it, but I am in awe of the transformation. Thank you for the expert service!" Viginia H - "Always friendly, fast and open to suggestions on how to be more efficient." Robin B - "We use Restif for window cleaning, gutter cleaning, paitning our deck and cleaning our area rugs. They are awesome!" Mark W - "Very thorough and professional. A delight to work with." Marguerite B - "Everything is very well cleaned when your service comes to our house. It smells great, too and we appreciate the special care you give to the wood floors in our kitchen and dinette. Thank you." John D - "We have Restif do the exterior of our windows on a quarterly basis. The windows and screens look great after each visit. The staff is always professional and friendly." 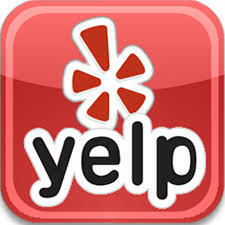 Marion B - "Great job and very pleasant communication and follow through. Thank you!" K.A.G - "I called these guys somewhat on short notice; they readily scheduled me. The two employees whom they sent (Kim and Tonya) were friendly, professional, and efficient; in the two hours they were there, they made a significant dent in the admittedly rather horrendous mess. Would recommend." Karina J - "Restif is a great company! They are professional, polite, friendly, easy to work with and always do a good job. I highly recommend them. I have been using their services for years. Trinity V - "I love this place they do a great job the people that come out are professional they have a great price they stand behind there business"
Marilyn T - "We recently contracted with Restif Cleaning Services to power wash our house, wash the windows, clean off the roof and gutters, and shampoo the carpets. Im' happy to report that they came on time, and were extremely competent and professional. It was a 2 part job and Ryan and John worked all day and did an excellent job. The following week Gary came at the agreed upon hour, went right to work and make our carpets look like new. Considering our experience I definitely recommend Restif." Travis S - "Friendly, knowledgeable of their services. very accommodating company. I would recommend to anyone looking for a company janitorial services." Tara M - "Gary cleaned our carpets and I was very impressed with how nice a job he did! I don't think they've looked so good since we've moved in. Very reasonable rates and friendly service! Would definitely use again! Kate L - "We've used Restif a number of times. Always been happy with the job. They are professional and take steps to protect our home during service." Gen V - "Shane was great and worked constantly without complaint. Though he arrived to clean the floors, the kitchen and ceiling, which included roof sunlights, Shane also cleaned the rugs, the tile floors, the bathrooms, the ovens and the windows inside and out. The house looked awesome. The guy knows how to clean." Lisa W - "I knew how bad it was going in, your girls did a “FANTASTIC” job."